OK...let's start with the good news first. Red Sox pitchers didn't give up any home runs on Saturday night. Andrew Benintendi had two hits. Boston didn't have to use a position player on the mound. The end result, though, was a 5-4 loss to the Diamondbacks on a Carson Kelly walk-off single in the bottom of the ninth inning off reliever Colten Brewer. The Red Sox jumped out to a 3-0 lead in the top of the second inning on an RBI ground out by Eduardo Nunez, a run-scoring single by David Price, and a ground rule double by Benintendi that plated another run. 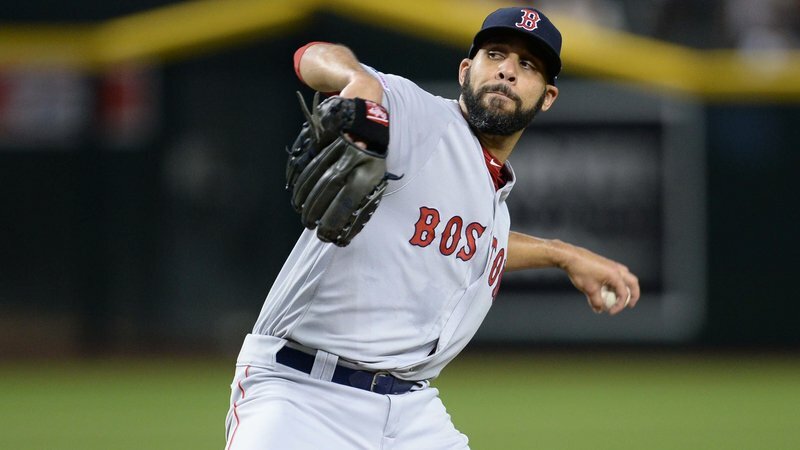 And then Price (pictured) promptly allowed four runs in the bottom of the inning, putting Boston in a 4-3 hole. Mookie Betts tied the game in the top of the seventh with a sacrifice fly and also threw out the potential winning run in the bottom of the ninth before Kelly ultimately decided the game with a base hit to left. Boston heads into Sunday with the worst record in the American League (only the Reds at 1-7 have a lower winning percentage). The starting pitching is in complete disarray, the defense has made the third most errors in baseball, and the offense (third in the American League in runs scored) really has yet to find its collective groove and is repeatedly in a position of having to play catch-up baseball due to the utter mess the starters routinely put the team into each night.